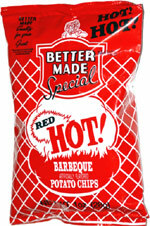 Taste test: These were very good barbecue chips. 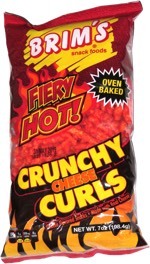 The first bite had a sweet taste, but it gradually turned hot after that, and it stayed moderately hot until I finished the bag. The chips were crisp, thin and mostly unbroken. There was a hot aftertaste too. Smell test: Very nice. Kind of a sweet barbecue and potato aroma.